The Bagley Brief is run by literary researcher Philip Eastwood and endeavours to promote the memory and literary legacy of the English thriller novelist Desmond Bagley. Bagley died in 1983 at the age of 59 leaving us a literary canon of sixteen, soon to be seventeen, published novels and a handful of short stories, articles and interviews. At the time of his death he was reputed to be one of the highest paid writers of fiction novels in the world. Remarkable considering he left school at the age of fourteen having failed to pass any exams, suffered a life-long speech impediment and was nearly forty years old when his first novel, The Golden Keel, was published. This site also contains the Running Blind archive, formerly bagleysrunningblind.info, which launched on 5th January 2015 as a definitive on-line resource for Desmond Bagley’s seventh published novel, a Cold War espionage thriller set in Iceland. Material from bagleysrunningblind.info migrated to The Bagley Brief on 5th September 2016. Material from fellow Bagley enthusiast Nigel Alefounder’s Desmond Bagley website and Facebook account is also promoted. Nigel’s website celebrated its 20th anniversary in 2017 and is a ‘must view’. The following publications, blogs & podcasts have kindly cited this website and its author. ‘Podcast No. 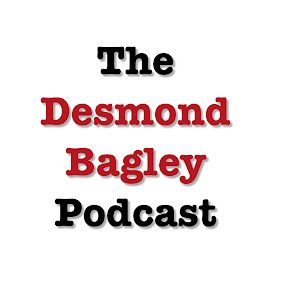 17 – An introduction to Domino Island‘ Desmond Bagley on the Internet: Nigel Alefounder [online] 17th January 2019. ‘The Mackintosh Man’ Phil Wilkinson & Richard Lovejoy on ReelStreets [online]. The study of commercially distributed world cinema and TV films with more than 110 years of film and movie locations, 16th January 2019. ‘Bagging a Fresh Bagley’ J. Kingston Pierce in The Rap Sheet Crime and Thriller ezine January 2019. ‘Better Late than Never’ Mike Ripley in Getting Away With Murder No. 146. SHOTS Crime and Thriller ezine January 2019. ‘Toasting Desmond’ Mike Ripley in Getting Away With Murder No. 144. SHOTS Crime and Thriller ezine November 2018. ‘Bagley Hall – Rohais de Haut, St Andrew’s’ by Trevor Cooper Mansion Manor & Merchant Houses – Guernsey architecture and social heritage (Guernsey: Blue Ormer Publishing, 2018) 30th October 2018, pp. 16-17. ‘Masters of Comic Book Art: Pino Dell’Orco’ by John Freeman Down The Tubes – Promoting Comics on the Web Since 1998 [online] 21st October 2018. ‘Bagley Remembered’ Mike Ripley in Getting Away With Murder No. 139. SHOTS Crime and Thriller ezine June 2018. ‘Desmond Bagley’s Blue Plaque’ Blood & Trowels: Jason Monaghan [online] 13th May 2018. ‘Blue plaque for thriller couple’ by Aaron Carpenter Guernsey Press (Guernsey Press, 2018) 12th May 2018, p. 7. ‘Bagley Blue Plaque unveiled’ Bailiwick Express 12th May 2018. ‘Guernsey Literary Festival event programme 2018’ 10th May 2018, pp. 6, 16. ‘Bloggers Before their Time’ Mike Ripley in Getting Away With Murder No. 137. SHOTS Crime and Thriller ezine April 2018. ‘Thriller Island’ Mike Ripley in Getting Away With Murder No. 136. SHOTS Crime and Thriller ezine March 2018. ‘Broken Covers’ Spy Write: Jeff Quest [online] 14th February 2018. ‘View to a thrill’ by Nick Le Messurier Guernsey Press (Guernsey Press, 2018) 29th January 2018, p. 17. ‘Podcast No. 19 – Running Blind – Desmond Bagley Review by Matthew Bradford’ Spybrary: Shane Whaley [online] 30th September 2017. ‘Podcast No. 9 – Running Blind’ Desmond Bagley on the Internet: Nigel Alefounder [online] 28th March 2017. ‘Speaking of Desmond Bagley: An Interview with author Peter James’ [online] Peter James 12th January 2017. ‘Bag a Bit of Bagley’ The Deighton Dossier Blog: Rob Mallows [online] 8th December 2016. ‘Kim Philby: A traitor on honeymoon’ by Guy Walters The Telegraph [online] (London: Telegraph Media Group Limited, 2015) 21st March 2015. ‘Kim Philby: The smile that hides a traitor’s misery’ by Guy Walters The Sunday Telegraph (London: Telegraph Media Group Limited, 2015) 22nd March 2015, p. 24. Note: The photographic compilations, subject of the above articles, which relate to the post-defection life of H.A.R. ‘Kim’ Philby have now been accessioned into the national collection at the Imperial War Museum in London. The IWM supports and encourages research into their collections and they are open to the public. The catalogue link for these items can be found here. ‘Eastwood in Bagley’s Footsteps’ by Steinþór Guðbjartsson Morgunblaðið (Reykjavík: mbl.is / Árvakur hf., 2015) 18th February 2015, p. 01. ‘Sumarhúsið fundið’ by Steinþór Guðbjartsson Morgunblaðið (Reykjavík: mbl.is / Árvakur hf., 2015) 20th February 2015, p. 18. ‘Hidden in plain sight’ Jeremy Duns Official Website Blog [online] 5th January 2015. This site is powered by WordPress who support the Free Software Foundation. Domains are registered by the Iceland-based web host OrangeWebsite, who promote freedom of speech and run their services on 100% green energy. All articles, referenced and accredited material on this site is © Philip Eastwood, unless otherwise stated.